Articles in Vol. 1, No. 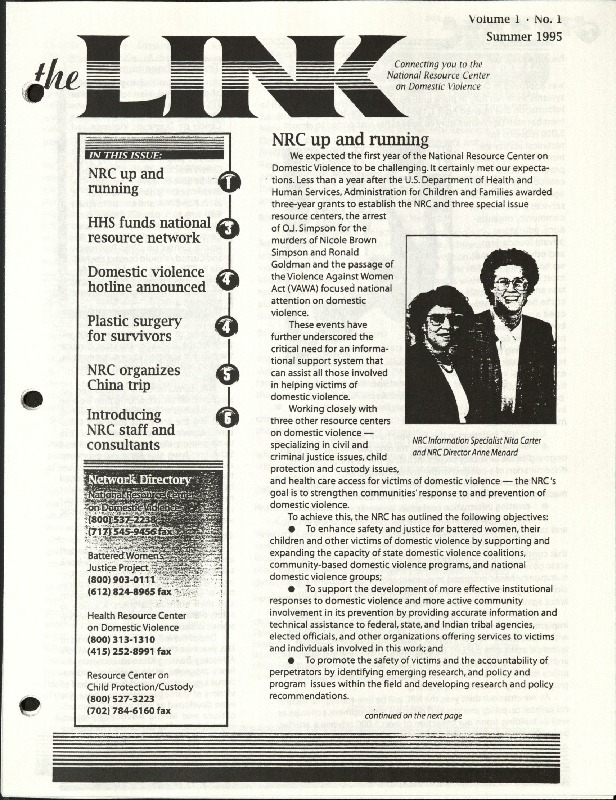 1 issue of the Link, "connecting you to the National Resource Center on domestic violence"